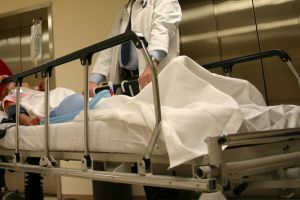 "The findings are likely to challenge the perception that these patients can no longer enjoy quality of life and are candidates for euthanasia or assisted suicide." 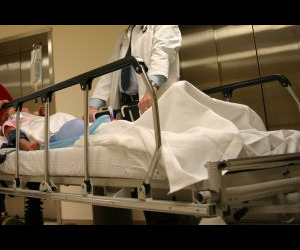 Most "locked-in syndrome" patients say they are happy, and many of the factors reported by those who say they are unhappy can be improved, suggest the results of the largest survey of its kind, published in the launch issue of the new online journal BMJ Open. The findings are likely to challenge the perception that these patients can no longer enjoy quality of life and are candidates for euthanasia or assisted suicide, say the authors. The research team quizzed 168 members of the French Association for Locked in Syndrome on their medical history and emotional state, and their views on end of life issues, using validated questionnaires. Locked-in syndrome describes a condition in which a person is fully conscious, but cannot move or communicate, save through eye movements or blinking. The syndrome is caused by brain stem injury, and those affected can survive for decades. In all, 91 people replied, giving a response rate of 54%. Around two thirds had a partner and lived at home, and most (70%) had religious beliefs. There were no obvious differences between those who expressed happiness or unhappiness, but not unexpectedly, depression, suicidal thoughts, and a desire not to be resuscitated, should the need arise, or for euthanasia were more common among those who said they were unhappy. Over half the respondents acknowledged severe restrictions on their ability to reintegrate back into the community and lead a normal life. Only one in five were able to partake in everyday activities they considered important. Nevertheless, most (72%) said they were happy. Only four of the 59 people (7%) who responded to the question asking whether they wanted to opt for euthanasia, said they wished to do so. Among the 28% who said they were unhappy, difficulties getting around, restrictions on recreational/social activities, and coping with life events were the sources of their unhappiness. But a shorter period in the syndrome - under a year - feeling anxious, and not recovering speech were also associated with unhappiness. A greater focus on rehabilitation and more aggressive treatment of anxiety could therefore make a big difference, say the authors, who emphasise that it can take these patients a year or more to adapt to this huge change in their circumstances. "Our data show that, whatever the physical devastation and mental distress of [these] patients during the acute phase of the condition, optimal life sustaining care and revalidation can have major long term benefit," they write. "We suggest that patients recently struck by [the syndrome] should be informed that, given proper care, they have a considerable chance of regaining a happy life," they add. And they conclude: "In our view, shortening of life requests ... are valid only when the patients have been give a chance to attain a steady state of subjective wellbeing."